With T-Mobile a major NBA sponsor, what could the carrier do to celebrate today's NBA All-Star game in Los Angeles? 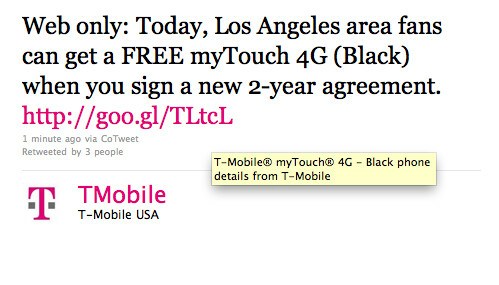 How about offering any L.A. resident a free myTouch 4G (in black, only) with a signed 2-year contract. 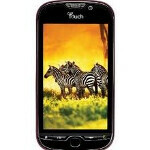 A tweet sent out by the carrier gives out the details of the offer which is available today only. Perhaps the rest of the country might consider this to be unfair, but for those in L.A. looking for a 4G phone at a great price, free is hard to beat. In fact, you might consider this offer to be a slam dunk. Of course, there is that little matter about the new 2 year contract, but if you have an upgrade collecting dust, or you are looking for a new carrier, you might as well take advantage of the offer. Oh, one last condition-the free handset can be ordered online only! NBA all star game in LA and Tmobile is the sponsor of the NBA.